Attempts to exploit a recently patched vulnerability in the Drupal content management system (CMS) were spotted by researchers shortly after someone published a proof-of-concept (PoC) exploit. In late March, Drupal developers rolled out an update to address CVE-2018-7600, a highly critical remote code execution flaw that can be exploited to take full control of a site. The security hole affects Drupal 6, 7 and 8, and patches have been released for each of the impacted versions – Drupal 6 is no longer supported since February 2016, but a patch has still been created. 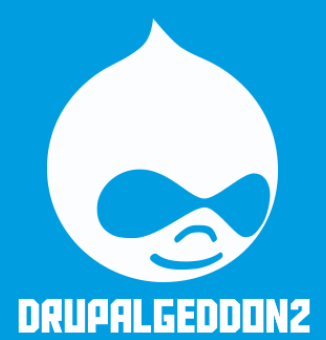 Experts warned at the time that exploitation of the vulnerability, dubbed Drupalgeddon2, was imminent. However, it took roughly two weeks for a proof-of-concept (PoC) exploit to become publicly available. Researchers at Check Point and Drupal experts at Dofinity worked together to uncover the vulnerability and on Thursday they published a detailed technical analysis. Shortly after Check Point and Dofinity published their analysis, Vitalii Rudnykh published a PoC on GitHub for “educational or information purposes,” which others confirmed to be functional. Once the PoC was made public, Sucuri and the SANS Internet Storm Center started seeing attempts to exploit Drupalgeddon2. At the time of writing, there are no reports of websites being hacked via CVE-2018-7600. Attackers are apparently scanning the web in search for vulnerable servers. The payloads spotted by SANS researchers use simple commands such as echo, phpinfo, whoami and touch. Web security services, including Cloudflare's Web Application Firewall (WAF), should be able to block attacks exploiting the vulnerability. “The exploit attempts are currently arriving at a pretty brisk pace,” said ISC handler Kevin Liston. Sucuri founder and CTO Daniel Cid also warned that the number of exploit attempts is expected to grow. The original Drupalgeddon vulnerability, disclosed in October 2014, was first exploited just 7 hours after a patch was released and it was leveraged by cybercriminals for at least another two years.